When spring fashions show up online or in the stores, there’s often an audible groan. Why? At first glance, the selections can look like island party fare: sheer fabrics, jean shorts, itty-bitty slip dresses. Is everyone on vacation? 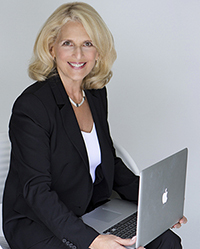 Professional women looking for summer work attire feel left out. There’s also the woman who favors clothes and accessories that are classic and elegant all year round. 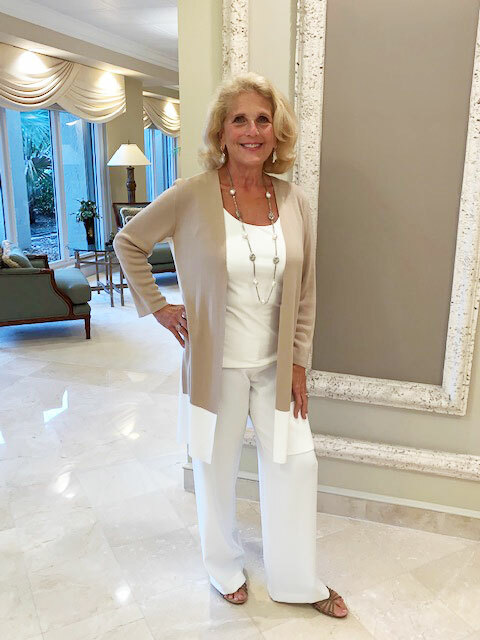 Women who enjoy refined and sophisticated fashion will shade their eyes from the bright colors and flashy prints and hope for better choices when fall until rolls around. 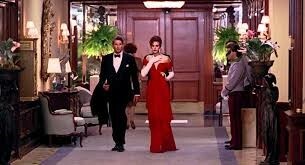 If this is you, believe me when I say this: this is your bonanza year for fashions that suit your style statement. Let me give you a few examples. Someone could look at beige and not even register that it’s a color. 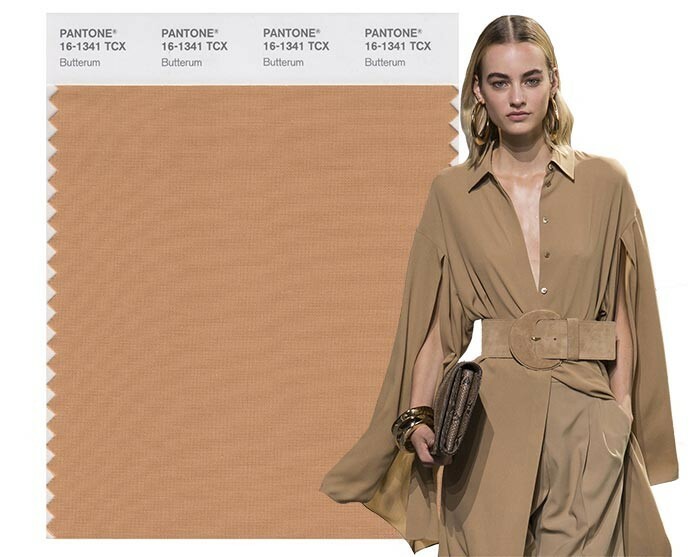 A woman with a refined eye can see beige and swoon—especially if that shade is good with her skin tone. A lot of designers showed head-to-toe beige outfits. Call it oatmeal, sand, or stone—it’s a color to love. Could you be new to beige? If you want to project a vibe of quiet assurance, do it in this color. If wearing it head-to-toe feels like too much, find a piece or two and wear it with your separates. You’ll quickly discover a silk blouse, trousers, dress, skirt, or trench to fall in love with. Different colors of beige look great together. 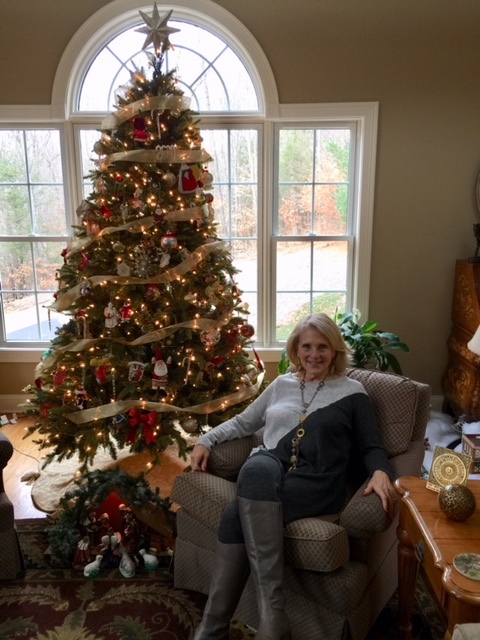 Pam looks classy and seasonal in shades of beige. 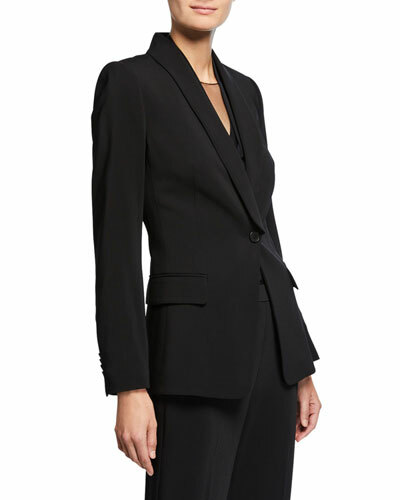 Wear a blazer with structured shoulders. You can find them in black for that ultra-classic look or consider shopping for a novelty blazer that you can wear with your favorite jeans or pant style for a change of pace. The cut of the blazer, the quality fabric, and the terrific tailoring will ensure it sends the right message. 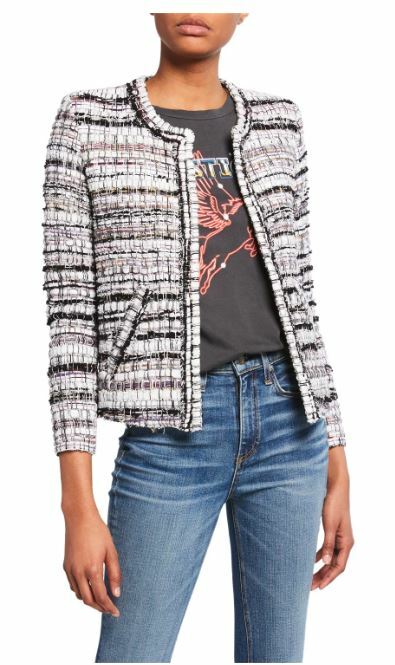 Dress up your jeans with a classic tweed blazer. Add Structure to your handbag. I’m sure you’ll notice many floppy bags this season. Keep looking and you will discover there are plenty of handbags that that have more structure to them. The briefcase is back in style, and a framed bag will look chic and polished. 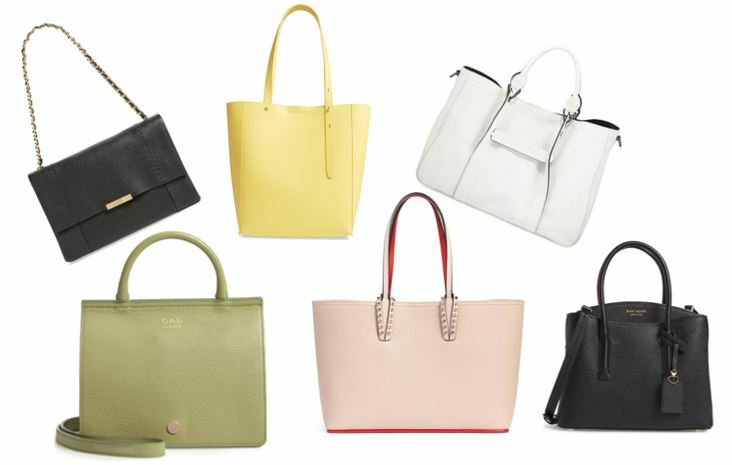 There are so many options in structured handbags in terms of style and color. Buy one or two to go with your spring wardrobe. We are all glad that Spring is officially here and soon the weather will be warmer. Time to think about what new items you need to add to your wardrobe. 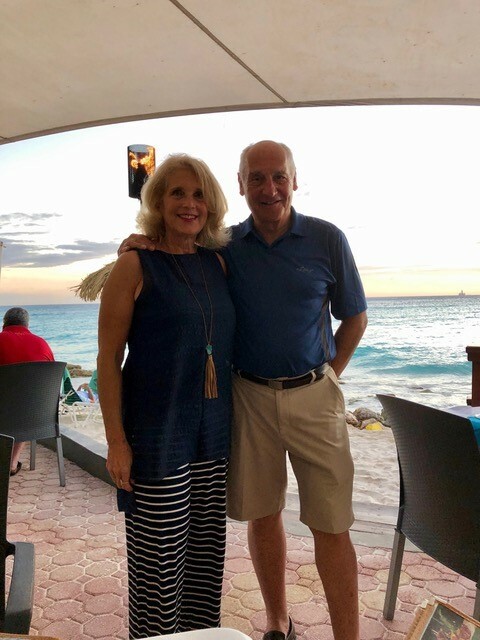 There are a lot of ways I can help you to make the most of your spring wardrobe. Give me a call at 203.733.9328 or email me at [email protected] if I can help. 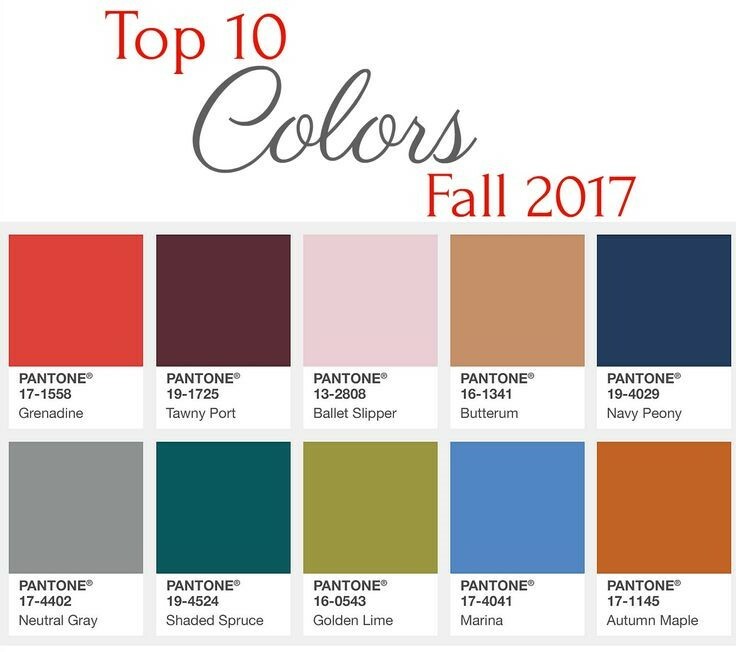 It’s Time to Think About Your Fall 2018 Wardrobe! Are you ready to try some new things from the fall/winter fashion offerings? Whether you sample one item or several, there are some tantalizing treats to choose from. For people who’ve been wondering where brown went, it’s back! It comes in all shades of chocolate and on into burnt caramel. Time to stock your shoe and handbag shelves with this rich color or choose a few separates to blend into your existing wardrobe. Floral prints just keep coming. 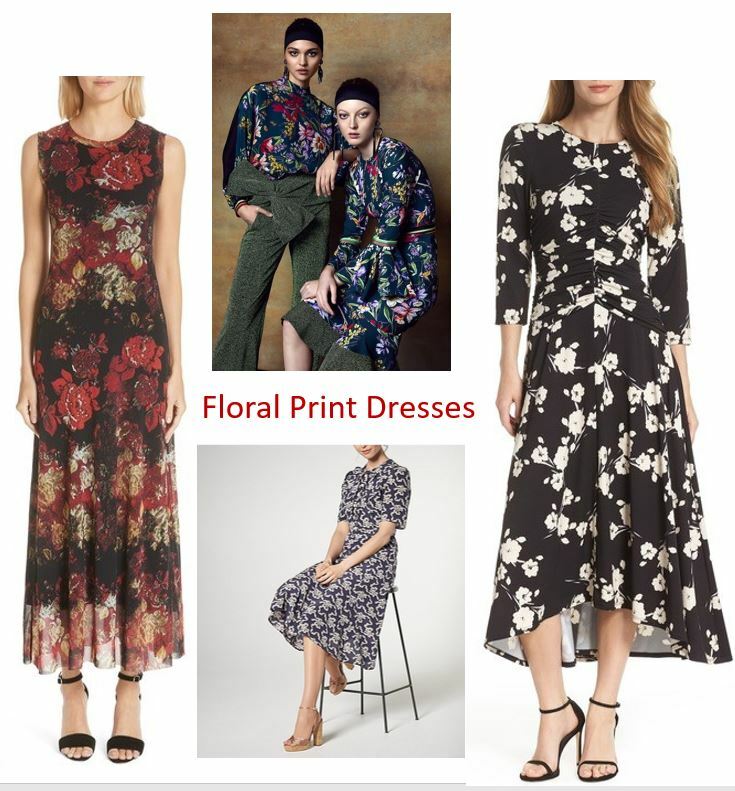 Plan to wear floral print dresses with dark backgrounds. They’re great paired with a colored tight and a boot.Or just wear these feminine dresses to a business function or Holiday Party. We grew up loving velvet. Velvet has been spanning the seasons. 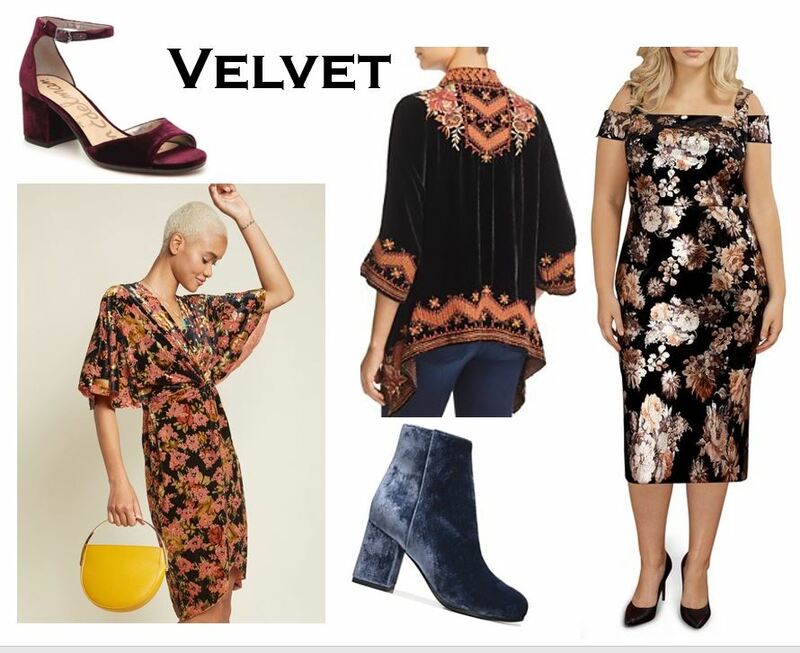 People even wore velvet this Spring and into the Summer. Look for it this Fall/ Winter season in dresses blouses and jackets. How do you feel about velvet shoes? 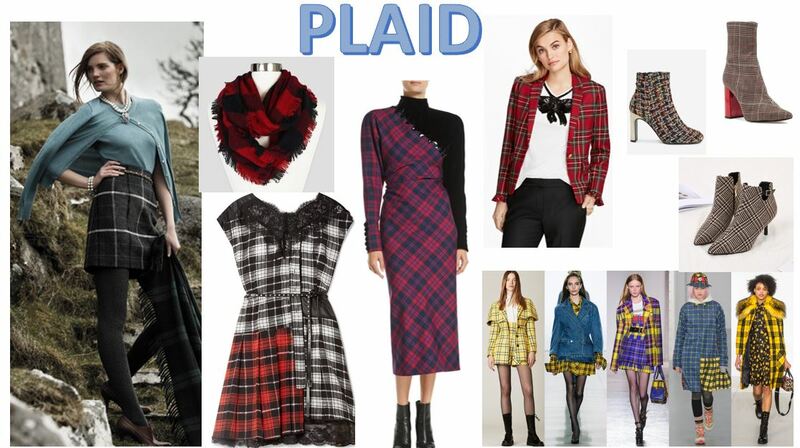 There is an array of plaids just waiting for you to enjoy and try. Classic plaids of different colorations are being combined in the same outfit. For instance you can wear a blue plaid pant with a red plaid jacket. Or wear a red plaid boots with a blue plaid dress. It may sound less than appetizing but you won’t know until you try it. So glad that you can choose from any pant leg, width style you choose this season. Pants of any length or width are available. 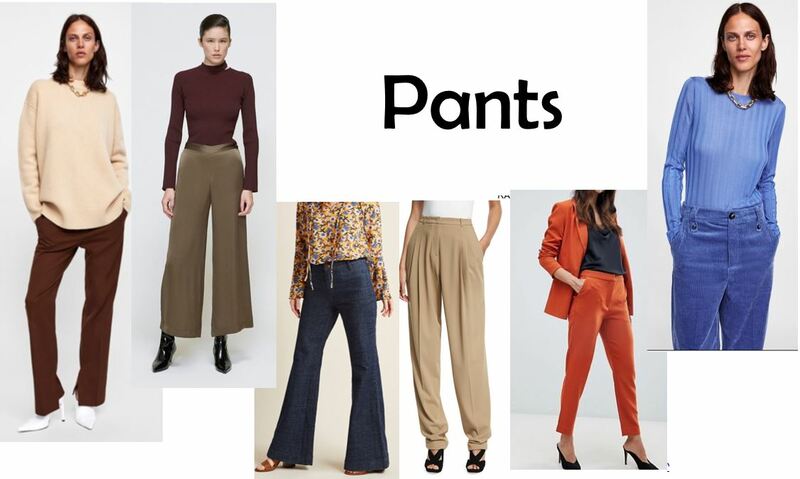 Wide, pleat front, flairs, cigarette, printed pants and painted pants.If you wear pants well, get ready for a smorgasbord. I added just some sampling to wet your palette. I hope the above ideas inspire you to select a few statement pieces for your fall wardrobe. If you need any help just give me a call. Looking forward to some cooler temperatures and some beautiful days ahead. It’s time to transition your wardrobe to spring! We all know not to believe every weather report we hear. The running joke is that weather experts get it right about 50% of the time. In any case, I want you to feel prepared 100% of the time for whatever the day brings. Even though the calendar and the stores say it’s spring, you may not be enjoying spring-like conditions for a while. Or, one day it feels likes spring and the next day the winds are blowing and you’re pulling your collar up to guard the chill. So below is a step-by-step guide to help you move your wardrobe toward spring even if there’s more winter weather ahead. Step 1: Ease Into It! Look in your closet and pull out anything that looks too wintry. The easy pieces to spot are fur-trimmed items in dark colors, thick tweed jackets or pants, and anything thick like wide wale corduroys, heavy wool pants, bulky cable knit wool turtleneck sweaters. Put them away for next year. 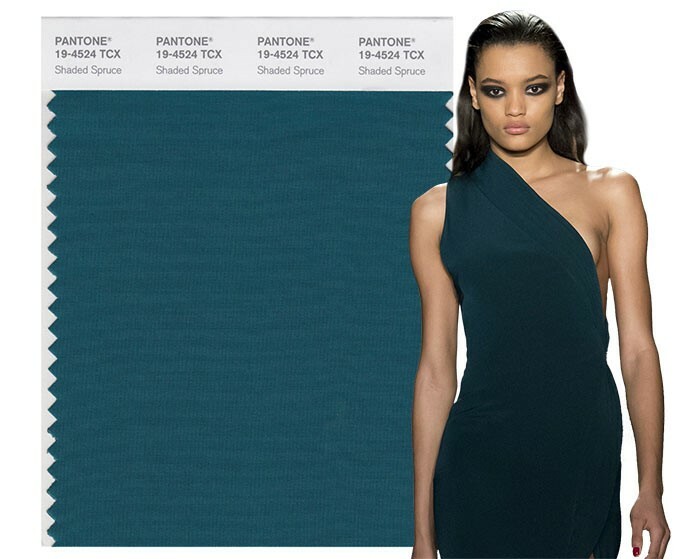 Escape the winter doldrums by changing your color palette. Take out all the dark colors that seem gloomy to you right now. Place them on your bed and now look into your closet again. Are there enough lighter or brighter colors in warm pieces that will get you through the next month? If not, put back a few dark pieces, ones that are neutral and less season-specific like a cashmere sweater you could wear in May if you need to. Even though there still may be a cold snap or two, respond with multiple layers like flat knits, quilted vests, and scarves. 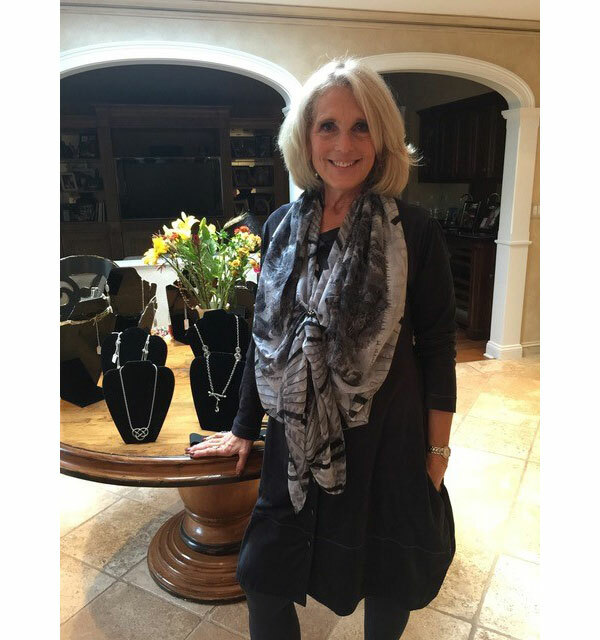 Pull out your cotton or silk scarves and start wearing them in place of your wool ones. Some other wardrobe tricks include wearing a buttoned up cardigan over your blouse and under your blazer. If it starts to warm up in the day, remove the cardigan or the blazer. You’ll still look dressed for the day. Wear a V-neck sweater over your dress so it looks like you’re wearing a skirt and a sweater. Add a silk twill scarf at the neck. If you get warm during the day, remove the sweater and the scarf and you’re back to wearing the dress by itself. Or wear a button down shirt over your top. It can be unbuttoned or even removed if the temperature climbs. 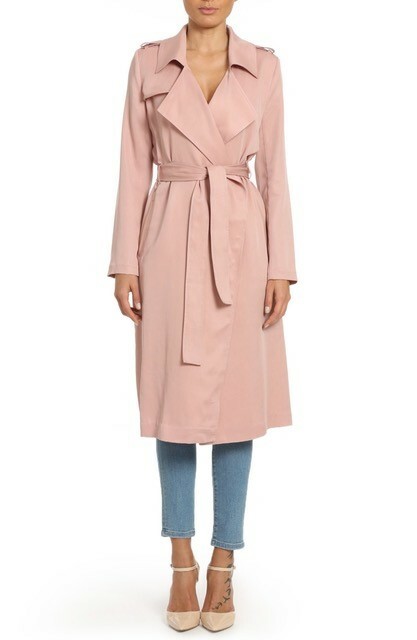 When possible start using your trench coat with the quilted lining instead of your heavy wool coats. Take the lining out when it warms up. Pull out any long-sleeved cotton or silk knit tops. Start using these under cardigans or swing jackets. While you’re at it, bring out a couple of spring dresses that you can pair a sweater. Or wear lighter shades of denim like rolled up jeans and ankle boots. Your jean jackets can be worn over maxi skirts or dresses. If you’re sick of what you’ve been wearing for the last few months, it may be difficult to make decisions on your own or strategize your way into spring/summer but there is hope. I’m here to help make those decisions with you and set you up for a wardrobe you’re happy with right now. Shoot me an email and we’ll get started. 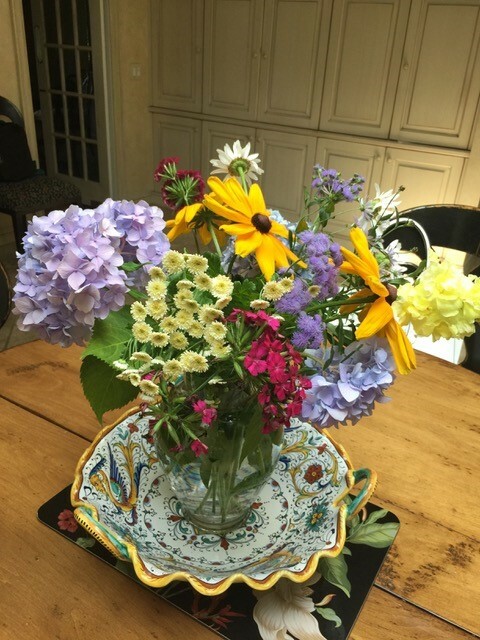 Wishing you all a day of flowers and fun filled family time! How to wear prints and patterns!! 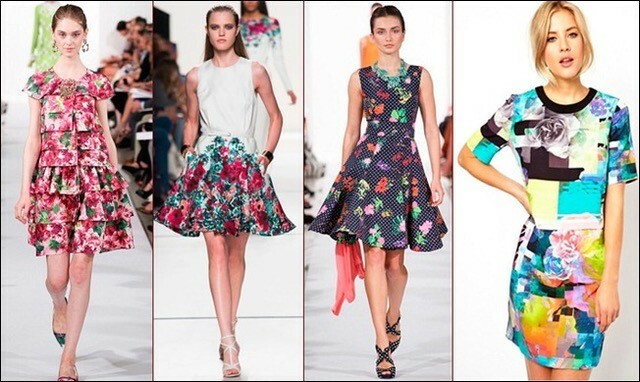 In my career I know that it is not unusual for women to shy away prints and patterns. The more color the more pattern the scary it is to try. Some people hesitate wearing prints because it seems difficult or mysterious. Yet wearing them can be so pleasing to you. 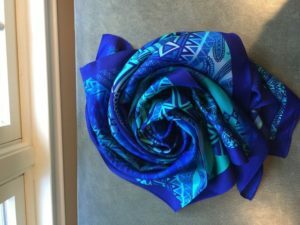 Let me answer a few questions about prints so you can start wearing them with confidence. Can petites wear large patterns? Traditionally it’s been said that petite women should wear small prints. I disagree with that. Clothing always has to be in the right proportion but within that proportion can exist a patterned skirt or top that is larger scale if the woman has large-scale features (eyes, nose, mouth), a booming personality, or is a rule-breaker by nature. Is there a bold print for everyone? Not necessarily. 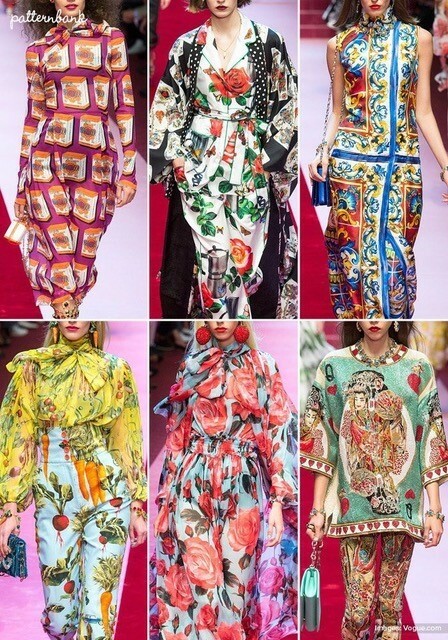 However, I have had clients who never thought they could wear a bold print and then when I had them try some on, they absolutely fell in love with the look. So be adventurous. You may think you know what will work best but prepare to be surprised. How do I wear two different stripes in the same outfit? As an example, consider wearing a stripe combo this way: Pair a narrow blue striped oxford shirt with a wide-leg waist pant in large navy and powder blue stripes.The scales of the stripes are different in each. That difference is what makes mixing stripes successful. How do I choose the right leopard print? Start with the color. 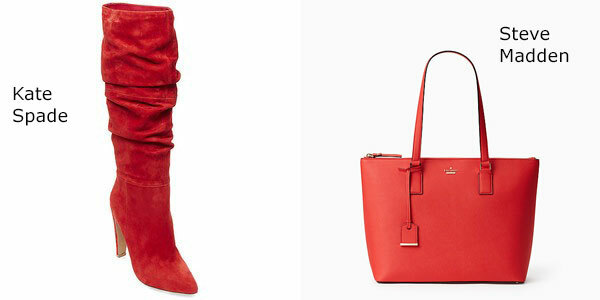 You may already know whether it’s more flattering for you to wear cool colors or warm colors. With that knowledge as your guide, look for a leopard print that follows that same formula. A leopard print could be in shades of gray and black, which would be great for someone with cooler coloring. A leopard print in camel and chocolate brown would better serve someone with warm coloring. Can I mix a floral print with a plaid? Yes, but be sure they share one color in common. When both prints share a shade of blue, that blue is the glue that makes them pair well together. Perhaps there’s a yellow green in a floral print and a darker yellow-green in a plaid. Even though the yellow-greens aren’t matching, it’s close enough to make it work. Why bother mixing prints and patterns? It’s a way to really own your look. You won’t find anyone looking like you. Also, it’s a way to be artistic without paints, canvases, and sketches! You’ve taken the artistry provided by the creators of these patterns to the next level where you then create your own individual art through the magic of your combinations. I highly encourage you to make friends with prints and patterns this season. 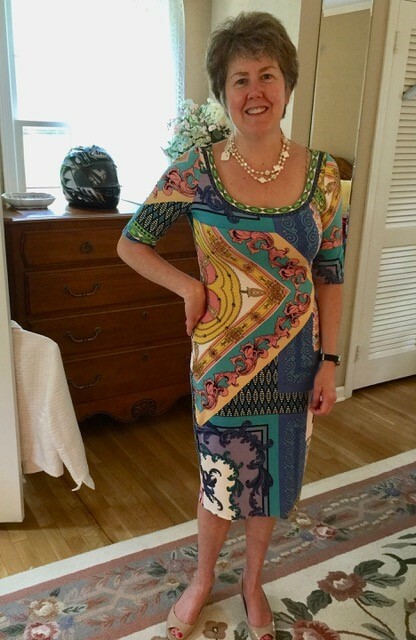 My client Pam Banks looks wonderful in her patterned dress. Prints and patterns really can bring you so much joy. I’d love to help you collect a handful of prints that truly work for you. I’m just a phone call away! Do You have a Ruffle skirt hanging all the way back in your closet? It is time to REPURPOSE and have fun wearing it this spring. Spring Fashion on the runway brought numerous feminine shapes and designs. 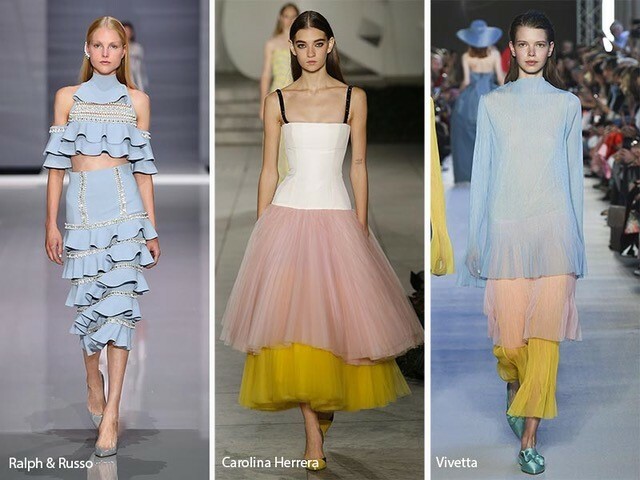 When wearing a ruffle skirt choose something simple on top. Let the skirt make the statement. This season you can choose any length from mini to ankle. You are the artist of your creation. I also wanted to use this occasion to wish everyone a Happy Valentine’s Day!! I have my Husband two beautiful granddaughters, and my son to send my love to. Wishing you a fabulous heart happy and heart healthy February! Come join us on Sat. Nov. 4 or Sat. Nov. 11 for a relaxing shopping experience. Every attendee gets a Free Gift! Bring a friend and enjoy a mimosa with us. Fashion accessories, makeup, skin care products, spa products and more. 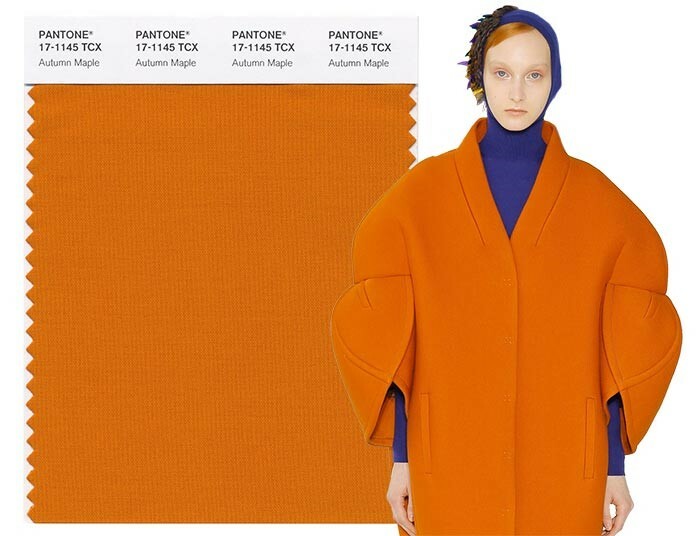 This blog is a continuation of the Pantone Colors of Fall 2017. 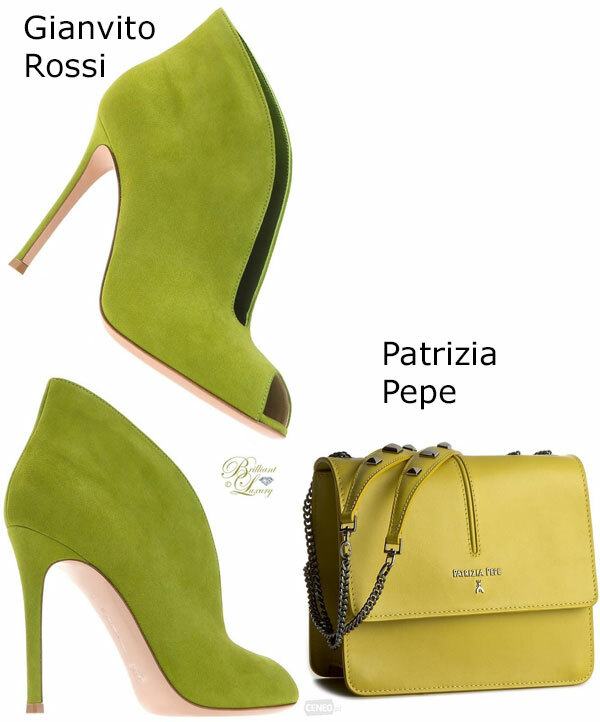 Be sure to read both posts to decide which is your favorite color of the season. 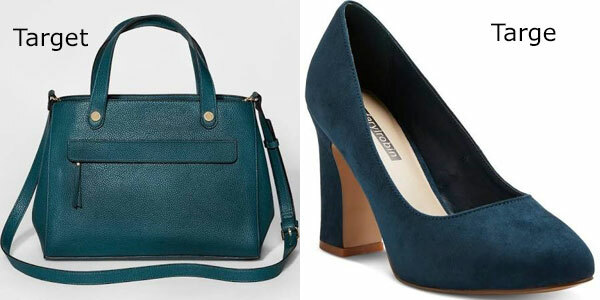 If you love wearing Gray, it is always interesting to add a pop of color to your shoes handbag or scarf. Even black and white adds drama to the look, as seen in the photo. handbags, overcoats, dresses and silk blouses. It is strong, beautiful, and makes a statement. 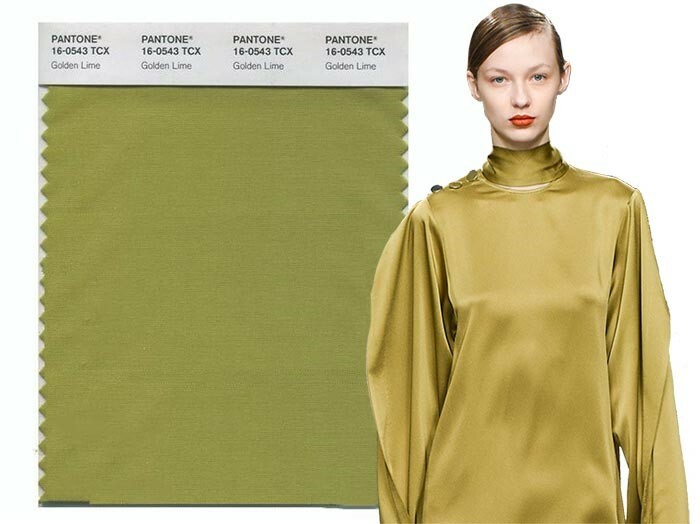 This yellow-green shade will compliment you Fall wardrobe, with necklaces, earring, scarfs, and handbags. 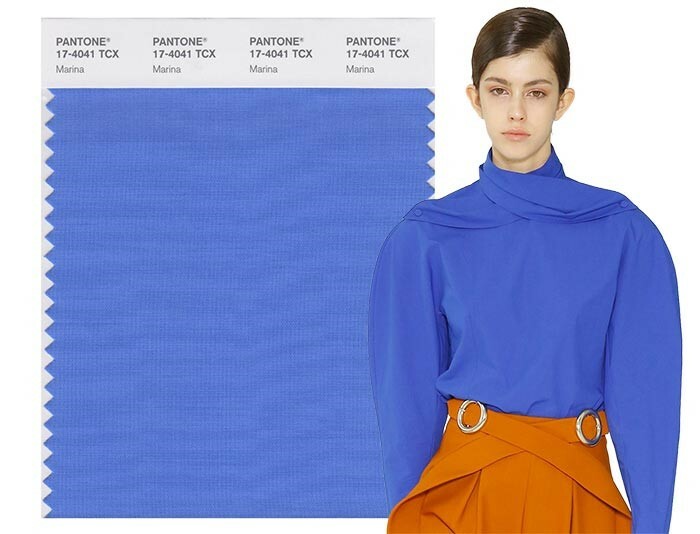 colors from Pantone into your outfit. Pairing it with her orange tote adds some trend to her outfit. makes a statement, when paired with your favorite black dress, slacks or dress. 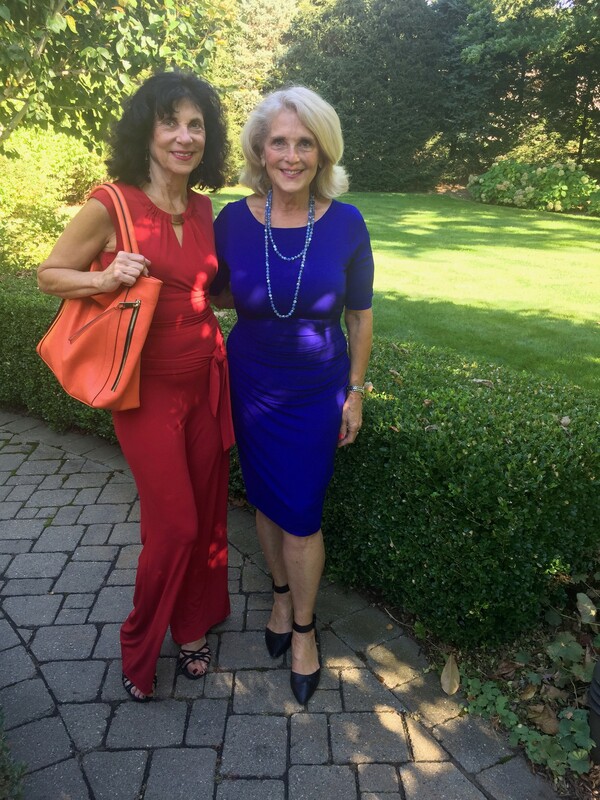 Linda Eisen chose her tote to add some trend and punch to her Red Jumpsuit. Have Fun In Your Closet with colors this Fall/Winter season. Here is a reminder of all the wonderful colors you can choose from. Try a shade that works with your skin and eye color. Some colors are universal and looks good on everyone. Try something new and get out of your comfort zone. 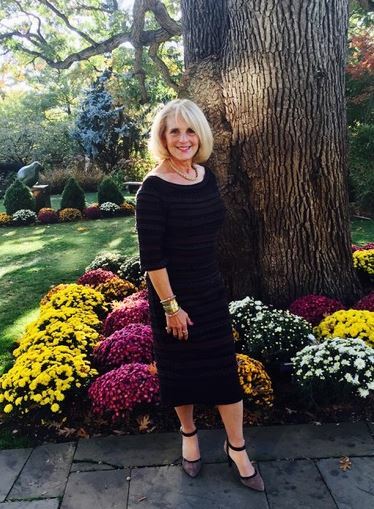 If you need any help selecting your fall outfits or deciding which colors would work best on you – give me a call. 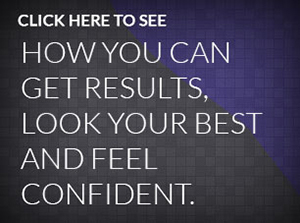 I would love to help you look and feel your best this fall. My clients are so excited for a new season. Shopping and planning for your wardrobe now will give you a good start for the Holiday season right around the corner. You will begin to notice the incredible colors available to you in the stores. 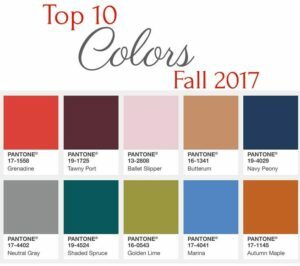 Here is an overview of the new fall colors. For this blog post we will review the first half of the colors. 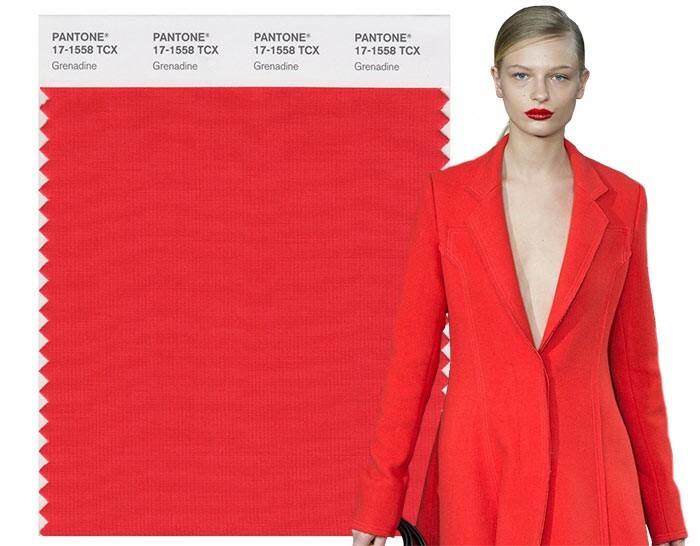 This years color Grenadine gives women the confidence to wear red. 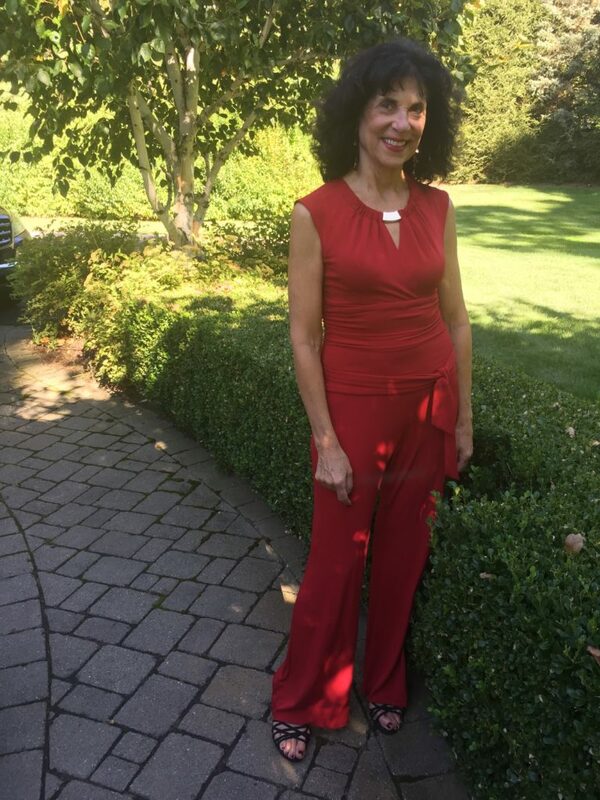 Linda Eisen looks confident and beautiful in her jumpsuit. Try a leather jacket in this rich color or even a boot. 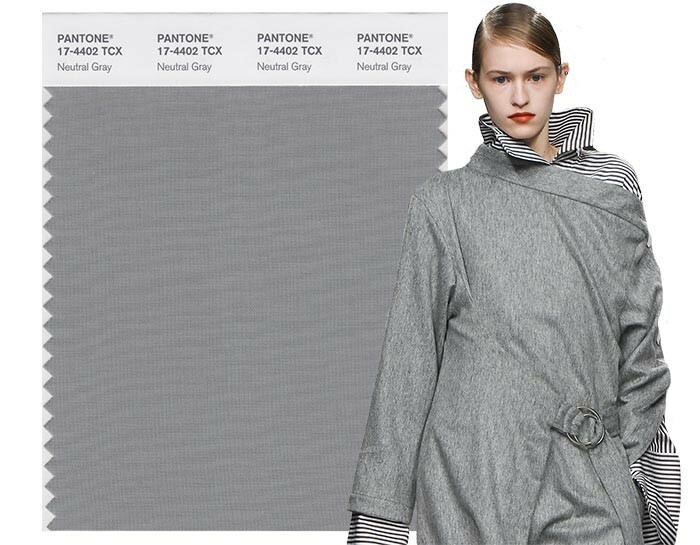 Pairing it with this years Neutral gray, in a scarf or silver jewelry will give your outfit polish and finish. 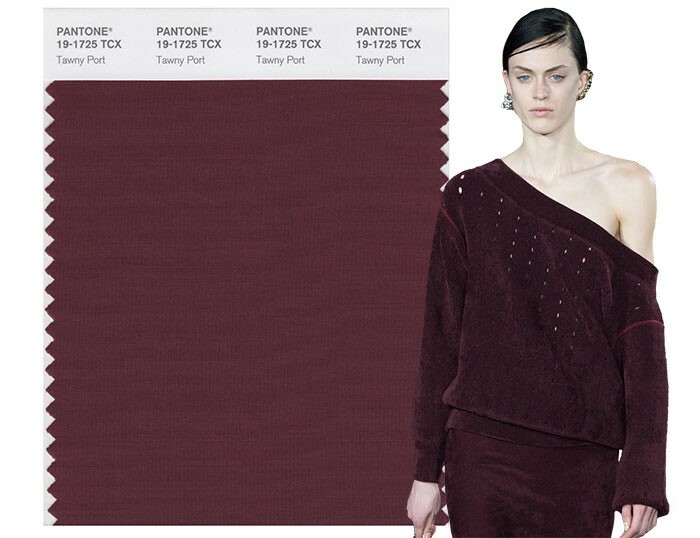 This color is soft and can be added as a lovely accent to any outfit this Fall. 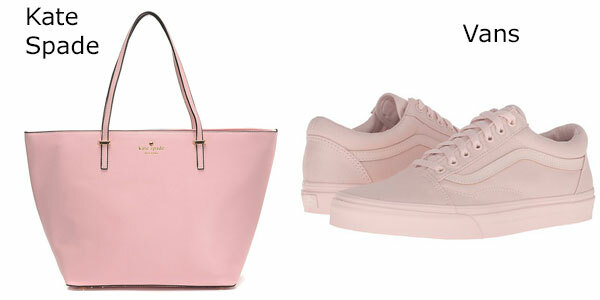 Even the pink sneakers adds some fun and trend to your weekend attire. 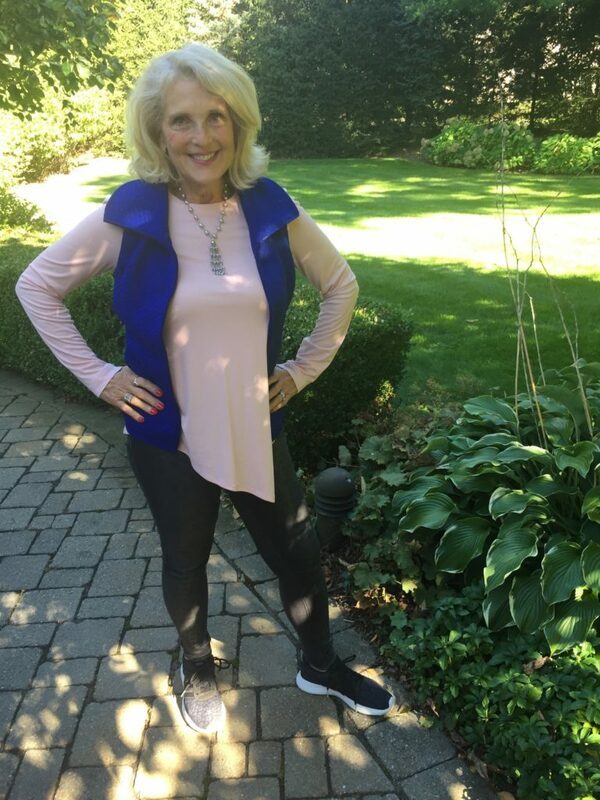 In this photo I paired a cotton Ballet Slipper top with this rich Marina blue vest. 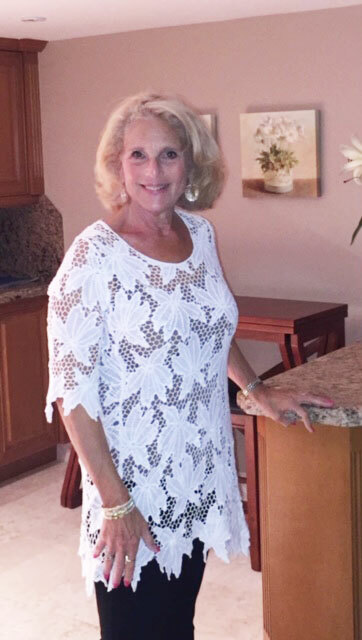 The pearl necklace adds a touch of Neutral Gray. 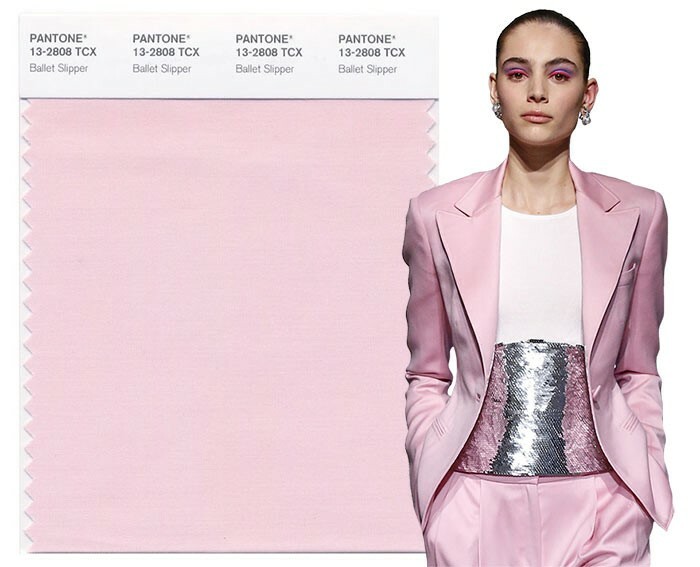 Imagine an entire outfit monochromatic in this beautiful shade including your handbag. Remember to think texture to give your look dimension and interest. I love combining and mixing and matching colors. Try these two shades together. 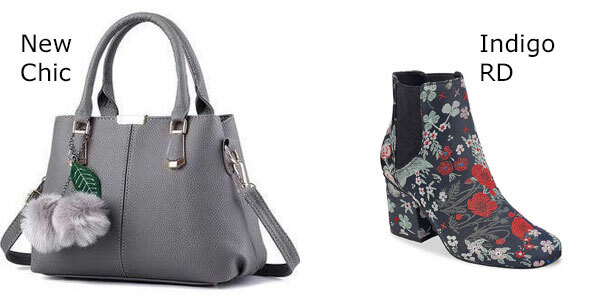 Imagine a deep wash jean or a pencil skirt in Navy Peony with a Marina floral top. 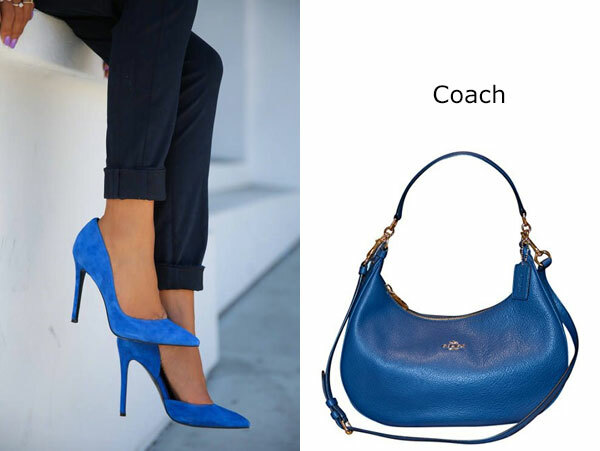 Add a handbag or shoe in these colors with silver jewelry and you have a ready to wear outfit. Check out my next blog post for the review of the remaining colors. Accessories have the power to make a plain look exciting. 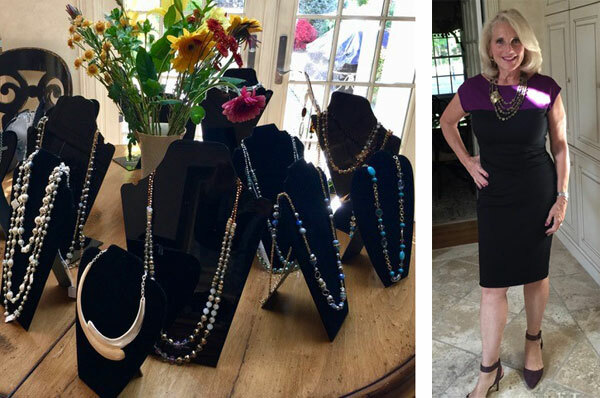 When I visit clients at their homes, in their closets it is obvious that for many women choosing the right accessory can be somewhat frustrating. That is why I always come prepared with pieces that will work with many outfits and personalities. -Add a scarf with fringe or a tassle this year for a touch of trend. 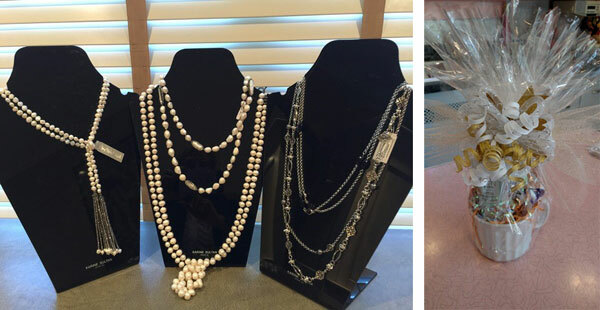 -Layer a variety of long and short necklaces. -Peruse your jewelery drawer and you will find a treasure trove of pieces you have not worn in years to layer. Getting your closet ready for the fall is not an easy task. 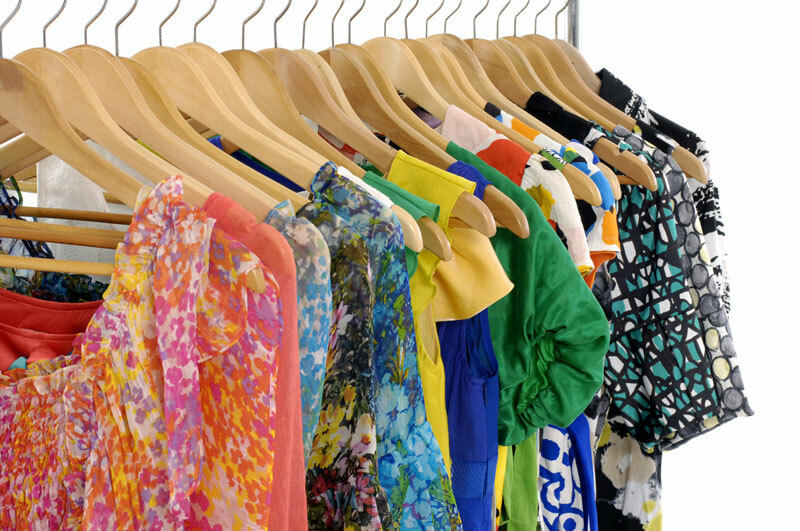 Positive Reflections can help you prioritize and organize your closet for an updated look. It is the time of year again to put away your sandals and take advantage of boot sales. Today boots come in many different shapes, heel heights, round toes, pointy toes, half boots, ankle boots and shoe boots . There is a boot for every personality and style. This season, pairing boots with a slim fitting dress and a great pair of tights (textured or plain) can give you a fresh new updated look. 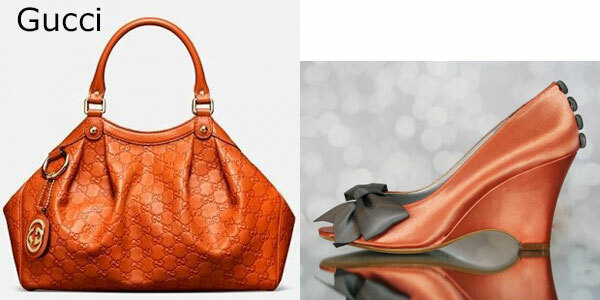 Below are examples of what is on trend as well as comfortable, clunky, and funky styles for people on the go. 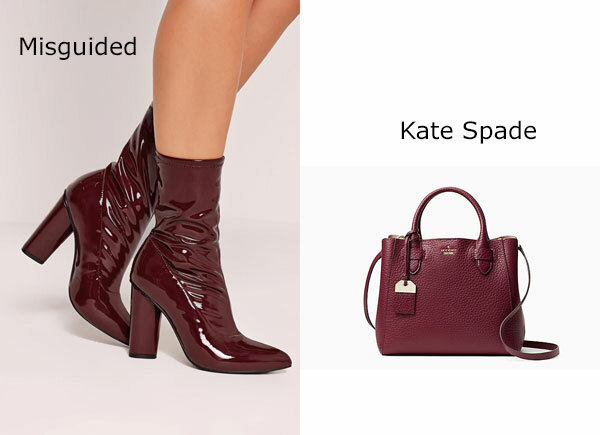 Also I have included some of my own picks for fall footwear. Shopping also begins with the proper footwear for my client’s lifestyle. Remember: comfort always takes priority over fashion. Please comment or email me, I’d love to hear your questions about your perfect fall wardrobe. Let’s Get Ready for Fall From Top to Bottom – Bottoms Up!! -Skinny leg pants are still on trend this year, but not for everyone. -Pair your trousers with a blazer for a professional appearance. For a more business casual look, try a turtleneck sweater, cold shoulder, or oversized. -Wide leg and flare pants are fun for parties and events. Paired with a sequin black top, flares and wide leg pants are great for holidays! -The classic straight leg in jeans, wool, or a blend are the perfect choice for a casual or professional look. -Try a mid-length or long duster. They can be found in a variety of colors and fabrics. Some have long sleeves and some are vests. These are a wonderful layering items for the Fall. When it comes to jeans we all have our favorites. Some of you may not even want to wear jeans. Happily, this year higher waisted jeans are easy to find and way more comfortable. A high waisted jean in the right size and fit is the perfect way to avoid the dreaded muffin top. -Avoid torn jeans for the office, even if they are on trend. -A dark wash will take you from day to night. And has a more polished appearance. -Straight leg jeans work well for curvy body types. -Flare jeans are easy to wear and comfortable on your calves. -Pair your flare jeans with boots and booties for the perfect fall-ready look. -As always, try on a variety of skinny jean brands and sizes to find your perfect fit. It”s been wonderful working with Pam on my wardrobe. In just a few hours, I have a whole new closet of outfits using clothes I already have. What Pam can visualize in tops and belts and accessories is amazing. I feel so much more finished and polished. I have never felt the need to use a personal shopper before. But I now consider this money very well spent. Most important, thanks to Pam I will always treasure my wedding photos.